Enjoy an exciting off-road jeep safari tours, to see its hidden beauties but still in a respectful way. Join us as we travel throughout the subtropical heart of the Laurisilva Forest on the island of Madeira. Care, professionalism and dedication are some of the core values that underpin the business approach of Madeira Island. Awesome tour of the island! We had an awesome time on our tour. I was in Madeira for a press trip, so this was a great way to see the island from a different perspective. Our driver, Ricardo, was very knowledgeable and told us a lot of information during the tour. When I go back (because the island is so amazing!) I will definitely book another tour with them. I highly recommend!!! My wife and I chose the Nun’s Valley & Sea Cliff trip. 4×4 the best way to go. Our guide, Ricardo, was superb, chatty, friendly and informative. Took us along roads (I use the description loosely) that you would never travel without a guide. One of the highlights of our holiday. I had a very interesting and informative off and on-road safari today with Ricardo. He is an excellent driver with a great deal of knowledge to share. Highly recommended. As it says on the tin. A very enjoyable Off Road experience culminating in a visit to a typical village bar for refreshments and a snack. Second trip with this company, each time easy to book, on time and quality drivers. Best of South with Ricardo, knowledge of island history, fauna was excellent. He loved land rovers too so we were bound to have a great time as he showed us how capable it was on and off road. Brilliant fun, I recommend booking if you want to see the island from a different perspective than usual. A full day of fantastic views and a bit of adventure with the off-road parts. We had a great driver and guide Vitor, who took us to places we would never have found ourselfs. Apart from his knowledge of Madeira he was also very funny! A full days tour with Ricardo. My wife and I loved it. Ricardo is a very informative guide with a good sense of humour. He made a few good-natured quips about the local police and locals during the trip. When I informed him towards the end of the journey that his passengers had been two current Luxembourg police officers and one (retired) UK policeman (me) he took it all in good part. Thanks too to Christine from SAGA for organising it. 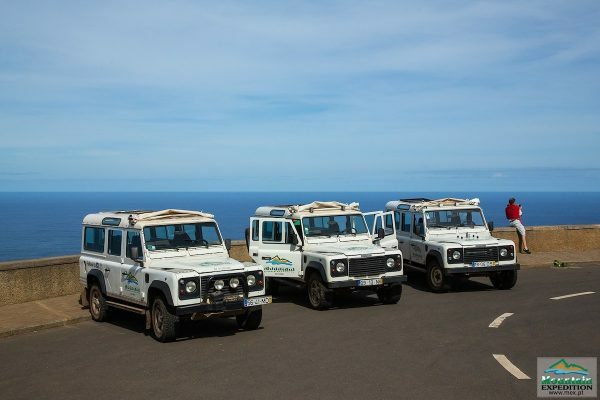 An excellent day out visiting the North coast of Madeira in a Land Rover. A superb driver, Joao, took us and a group of 4 Fench people along roads and places that are hard to reach without a 4×4. He spoke excellent English & French and gave us lots of information about the island and flora & fauna. Great fun going off-road along narrow dirt tracks. Plenty of time for lunch in Santana, a bargain at €11! If you have a Friday free take this trip, a wonderful experience. Ricardo is a great driver, the trip was breathtaking, the sights, the company everything I can just advice to everyone. I went with my 8yrs old son and two grandparents and all of us enjoyed it. If you take the west tour don’t waste your time with lunch (however for EUR 11 per person it worthy), because one hour will not be enough for the bath, what we just loved. Thanks again. 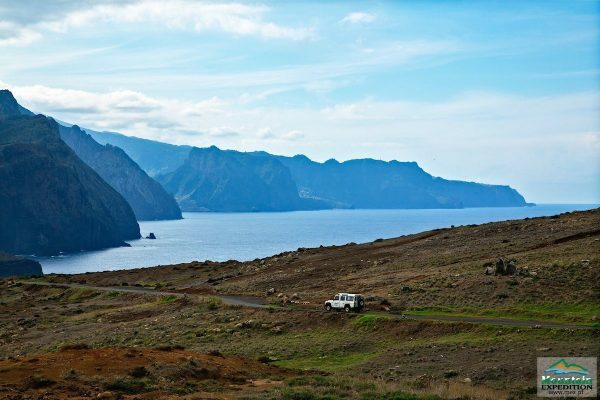 We signed up for a full day trip for the eastern part of Madeira and did certainly not regret that decision. Lots of places were visited, lots of knowledge was shared and with a great sense of humour from the driver. And of course, we used the capabilities of the Land Rover a bit to try out the small roads and track you would never experience yourself. If you have the chance to do this trip do not hesitate! Eastern part of the island (via Santana) was 44 euro per person. Absolutely a fair price. Select the option to add lunch in Santana (11 euro). Excellent tour of the Nuns Valley. The pickup was from the hotel and was punctual. The morning was very relaxed, and our guide/driver (Andre if I remember correctly) was informative and had a good sense of humour. We stopped at various points and met up with other vehicles on the same tour. The stops were relaxed and we never felt rushed to get back in the vehicle and move on. The highlight for me was the stop at the glass-floored cliff walkway (580m above the beach) at Cabo Girao. Well worth the money and gets you into places that coaches/minibuses couldn’t get. Felt very safe during the tour. Still amazed at how steep some of the roads were! Would definitely use again if we went back to Madeira. Our guide Abrao was excellent and we had a great time in a 4×4 exploring right up into the clouds. The hillsides are lined with glorious agapanthus, Pride of Madeira purple spurs, tumbling nasturtiums and elegant arum lilies. 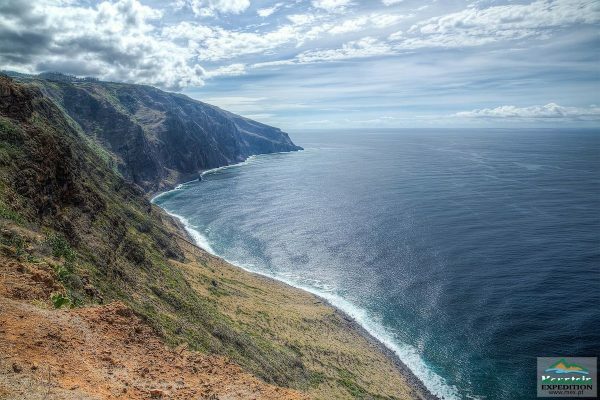 Madeira is an amazing island. Our family of 5 traveled to the beautiful island of Madeira in March. We had a great week in part thanks to two full days with Angelo who showed us as much of the island as he could in our time there. One day we toured the east and the other the west. He knows the island so well and was able to customize the tour for us. It included a mix of levada hikes, wonderful lunches and stops for coffee. He also suggested his favourite spots for dinner and these meals were great! He kept us thoroughly entertained as well as he is very funny. If we are ever lucky enough to return to Madeira we would book more tours with Angelo in a heartbeat. Jeep, boat and private safari tours! Book your jeep safari tour or ask us any question you have, we will get back to you!